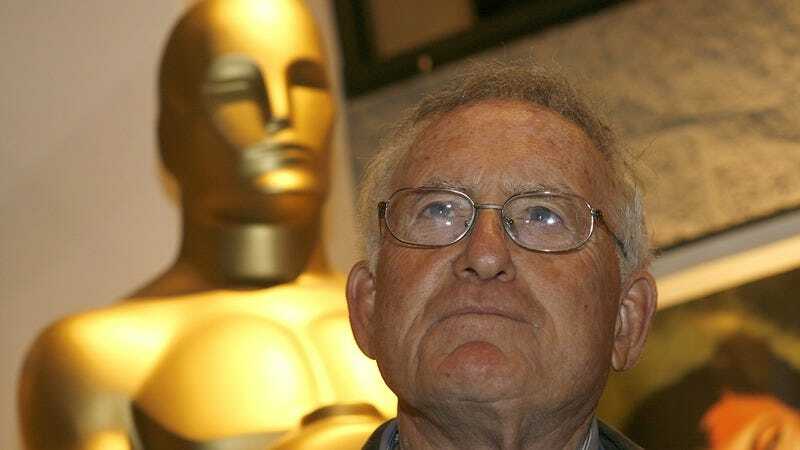 Robert Chartoff, the Oscar-winning producer behind films like Rocky, Raging Bull, and The Right Stuff, died yesterday from pancreatic cancer. He was 81. Chartoff’s introduction to the entertainment business came through his uncle, a talent booker in the Catskills for whom Chartoff worked during summers off from college. After law school, he formed a talent agency with longtime business partner Irwin Winkler. Together, the two began working in Hollywood, including arranging for Julie Christie’s first screen test in 1965, for Doctor Zhivago. Chartoff-Winkler Productions, the company Chartoff formed with Winkler, produced more than 25 films between 1967 and 1985. Starting with Elvis Presley’s Double Trouble, Winkler and he went on to work with some of the most enduring names in cinema throughout that period. Along with Sylvester Stallone’s career-making film, they worked with Robert De Niro to convince Martin Scorsese to direct Raging Bull, the story of boxer Jake LaMotta that has become one of the most acclaimed films in history. The Right Stuff, Philip Kaufman’s depiction of the birth of the U.S. Space Program, was released in 1983 and ended up winning four Oscars, out of the 12 wins and 40 nominations Chartoff-Winkler films garnered in total. Other films produced by Chartoff include Point Blank, starring Lee Marvin; the Sydney Pollack-directed They Shoot Horses, Don’t They? ; 1974’s The Gambler, starring James Caan; and the Barbara Streisand comedy Up The Sandbox. After the dissolution of Chartoff-Winkler Productions, Chartoff continued producing films, most recently earning a credit on Ender’s Game. He is credited as a producer on two more upcoming films: Scarpa, a story of a hitman starring his Rocky protege Sylvester Stallone, and Creed, the Rocky spinoff about Apollo Creed’s grandson, played by Michael B. Jordan.